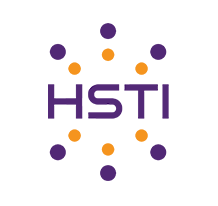 Pre-Conference Workshops – 9:00 a.m. to 4:00 p.m.
Exhibitor-sponsored event to welcome HSTI attendees to Kick off the 25th Anniversay of HSTI event. Enjoy food, beverages, live music, networking, and much more!!! You must be an ARKSTE Member or INVITED Guest to attend. This is a ticketed event sponsored by IK Network Solutions. See our partners at the IK Network Solutions or ARKSTE booths for tickets.